Because of what us humans do. Our hearts and minds now left estranged. Just those who think of nature too. 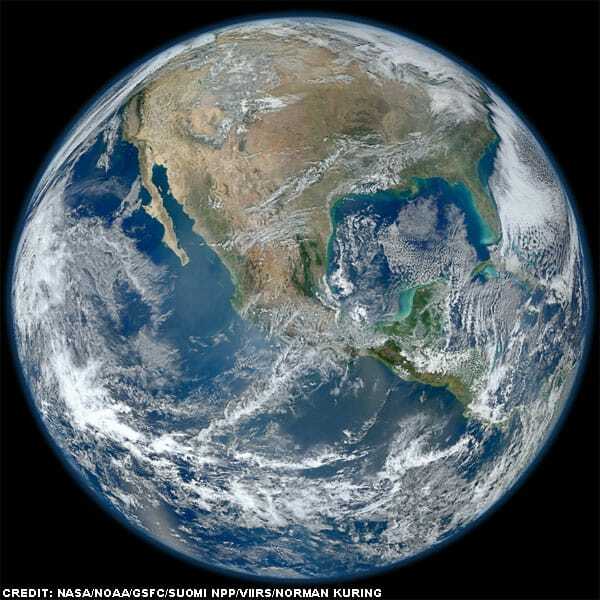 A ‘Blue Marble’ image of the Earth taken from the VIIRS instrument (Image credit: NASA/NOAA/GSFC/Suomi NPP/VIIRS/Norman Kuring). This is a Rondelet, inspired by recent research which has explored the psychological effects of climate change. Whilst the physical and environmental effects of climate change are well studied, the psychological impact that climate change has on people is much less well understood. This study shows that as well as severely impacting those people directly affected by climate change (e.g. through extreme weather or pollution events), the threat and perception of global climate change has the potential to produce high levels of stress and depression amongst people not directly affected by the physical and environmental effects. The research outlines three distinct types of environmental concern: egoistic concern about how what’s happening in the environment directly impacts the individual; altruistic concern for humanity in general, including future generations; and biospheric concern related to nature, plants and animals. Of the three types of concern, it is biospheric concern which seems to result in the most severe psychological effects. Those with high levels of biospheric concern were most likely to report signs of stress and depression, effects that were not observed in people whose concerns were more egoistic or altruistic. Understanding that climate change can have a significant psychological effect and that it can be perceived differently by different people is vital in order to better understand how to deal with the potential mental health risk that global climate change can bring. Furthermore, understanding how different people are psychologically affected by climate change is vital to ensuring how to most effectively elicit meaningful action amongst different groups of people. That makes sense to me. A lot of people I know do seem to have a certain amount of anxiety about climate change. The thing I wonder is do people turn to climate change denial as a way to relieve some of that anxiety? Thank you for your comment. I think that is a really important question that you raise. Maybe for some of the sceptics they are struggling to face up to the enormity of the problem. I think it’s more than just a relieving of anxiety, ‘climate change denial’ considered holistically / biospherically means we have to acknowledge our own actions, interests, employ, etc. and as that can cause cognitive dissonance then do we deny our own lifestyles (even highly paid climate scientists and academics who better understand) or climate change? It’s not just the standard climate change deniers who suffer climate change denial syndrome we all have a little bit of that in us to different degrees. I agree entirely with this statement. Everyday I know that I could be doing more!